On 4th August 1914 war was declared on Germany. 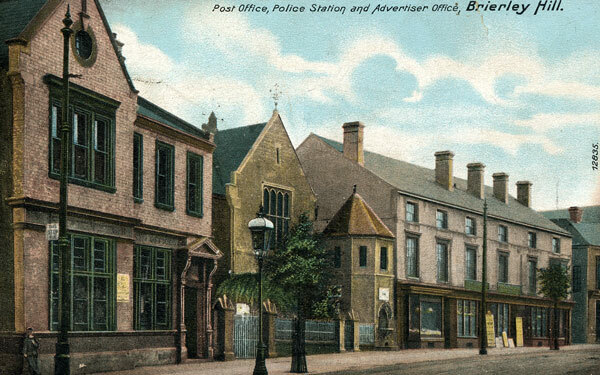 Two notices were placed in the Brierley Hill Post Office window (the building still exists and is now a cafe) – ordering the men to report for dutry. Caption: the post office building is still there today, and is now a cafe. The building to its right is the magistrates court and police station – where a special watch was kept for Zeppelin attacks. The Brierley Hill, Brockmoor, Pensnett and Quarry Bank men of the Territorial army(E Company, 1st/5th Battalin, South Staffordshire Regiment) were summoned by a bugler being sent round the street and by cycle to the outlying areas. These were, afterall, the days when telephony was in its infancy and there was no radio and tv. The response was strong. At the Drill Hall in Pearson Street (now part of ASDA car park) the men assembled. As the night wore on crowds gathered at Five Ways and at the Junction of Pearson Street and High Street – illuminated by the hissing glow of the gas lights in the street. “Rule Britannia” and other patriotice songs were sung, and kit was issued to the men – including entrenchment trowels, described by the County Express as “very handy little instrument” as if aware of what lay ahead. By the following morning, 5th August, the men were ready to depart. At the orders of their commander and with the good wishes of their townsfold the soldiers marched away. Many were never to return. Here is the County Express article describing the incredibly moving events of 4th and 5th August 1914. The shrill blasts of a bugle in the principal streets of Brierley Hill summoned on Tuesday night the members of the local Territorial force (E Company) to arms. At about eight o’clock there were posted in the windows at the post office two announcements issues by the authority of His Majesty the King, the one ordering the mobilisation of the army reservists and the other the embodying of the Territorials. The orders were not altogether unexpected; indeed, before the men were dismissed to their homes following their return from camp at St. Asaph on Monday, there were told that the must hold themselves in readiness. In addition to the publication of these orders there were despatched through the post summonses to all men, but in some cases these were not due to reach the men until first post on Wednesday morning. Within half an hour of the posting on Tuesday night of the King’s orders at the post office Territorials were seen proceeding towards their headquarters, the new Drill Hall in Pearson Street, carrying their haversacks and other equipment on their backs. At the hall, pending the arrival of the officers, the men were met my Sergt-Inst Smith and Colour-Sergt Bird, who, it will be remembered, was one of the many Brierley Hill Volunteers who went to the South African War. As time rolled on more and more men presented themselves. Soon after nine o’clock Lieut. Allden arrived, and he was quickly followed by the commanding officer, Capt. W.E. Moore, who motored from his home in Sutton Coldfield. The movements of the Territorials and the intermittent blasts of the bugle in the streets drew large crowds from their homes. There were many at the Five Ways and a dense crowd assembled at the corner of Pearson Street, and also in the vicinity of the Drill Hall. In the absence of orders for their immediate movement, the men were permitted, after reporting themselves, to mingle with their relatives and friends in the streets. Steadily the flow of incoming men continued. Some of the Territorials in E Company are resident in the districts, considerably removed from the town, and with a view of facilitating communications with them special messengers were despatched on cycle and by foot. The response was in every case almost instant. Soon after eleven o’clock there were some 90 men present – a truly remarkable response to the call. At midnight the company officer still awaited orders. Messages with the headquarter staff at Walsall were frequent. Soon after midnight there was very great activity. The men drew their blankets and socks from the stores, and also their entrenching tools – very handy little implements. At one o’clock 100 men were at the Hall, so that in under five hours five-sixths of the total strength were under orders. Capt. Moor expressed to our representative his gratification at the splendid manner in which the company had come in. The men were all in the best of spirits. In the street “Rule Britannia” was lustily sung, and in the main thoroughfare snatches of patriotic songs held sway. Again, the bugler went out into the streets and blew his loudest and best. Other men, chiefly from outside districts, came along, passed to head-quarters, and received their kits. Soon after one o’clock, as no definite orders were announced, directions were given the men that they might lie down and take rest. A very few did; the bulk of the rank and file continued in the merriest of moods. It was understood that the company would have to proceed to Walsall on foot, but it was not until four or five o’clock that Capt. 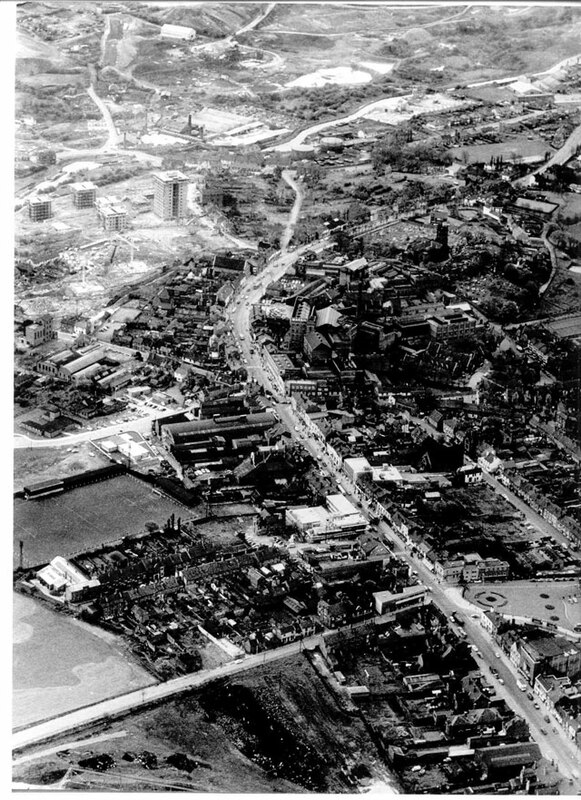 Moore received definite orders that the company were to get to Walsall some time during that day. At five o’clock the commanding officer wisely informed the men that they could have three hours’ leave, in which they might proceed to their homes for breakfast and for a wash, and to return to the Hall at 8 a.m. Those whose homes were sufficiently near to permit this availed themselves of the opportunity, but all had returned by the stipulated time, anxious to learn more news. Several other men came in, and at nine o’clock 117 out of a total of 121 were paraded – a remarkable reply to the King’s request. Of the four absentees one was away on sick leave, another was, by permission of the colonel of the battalion, away, but was re-joining during the day, and the other two were Wallheath Territorials, who would not receive their mobilisation orders until that morning at probably eight o’clock. At nine o’clock the men were formed up by the sergeants in sections in the Hall. Afterwards they received their rifles from the stores, and the sergeant instructor then served out packets of ammunition, which the men unwrapped and fitted in their bandoliers. Again the men were formed up and their roll called. Every man made a smart reply to his hame. Capt. Moore addressed a few words to them, urging that on their march to Walsall they would acquit themselves as he expected they would. “Company! Right,” called Capt. Moore. The sections responded with alacrity. With their refills on their shoulders the company awaited “quick march”! The order was given, and away they went. Capt. Moore led his men. Outside the Drill Hall large crowds greated the King’s Territorials, and at the junction with the main road it was with some difficulty that the Territorials squeezed their way through the space afforded them. Rain was as the time falling in a drizzle, but it in no way abated the enthusiasm of the crowd. High Street was reached, and the ten miles march to Walsall was commenced. At many points relatives and friends wished a cordial “good bye” to those in the ranks. The most remarkable thing which struck the looker-on was the extraordinary optimism which pervaded everybody – crowd and soldiers alike. The route to Walsall was by way of Dudley. At Walsall, where they arrived soon after mid-day, the Brierley Hill Territorials were billeted at the Town Hall, pending the receipt of orders for their departure, on Thursday, to they knew not where. The following were the officers and non-commissioned officers who left with the company:- Capt. 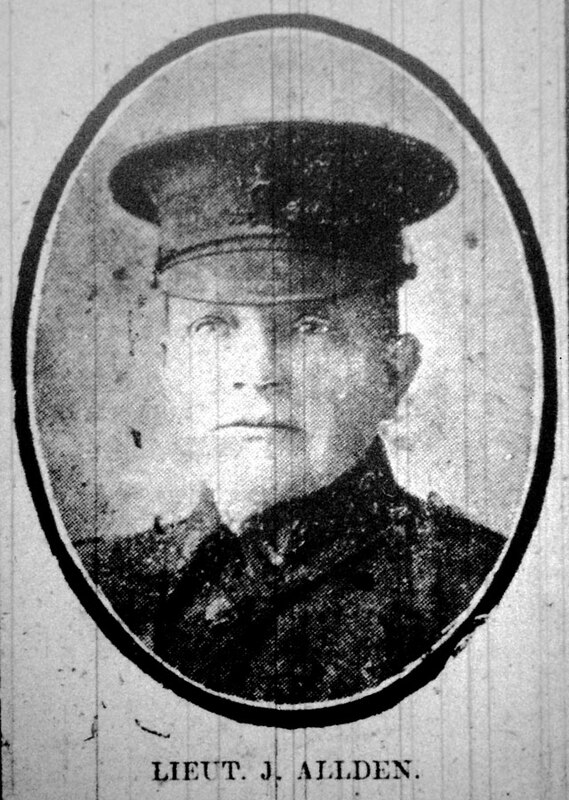 W. E. Moore, Lieut. Allday, Sergt-Inst. Smith, Colour-Sergt. H. E. Bird, Sergts. Cook, W. Pargeter, J. Harper, Bretherton, and Hollings, Corpls. Vale, Skelton, Cox and Roberts, together with 104 rand and file, a total of 117 out of a strength of 121.